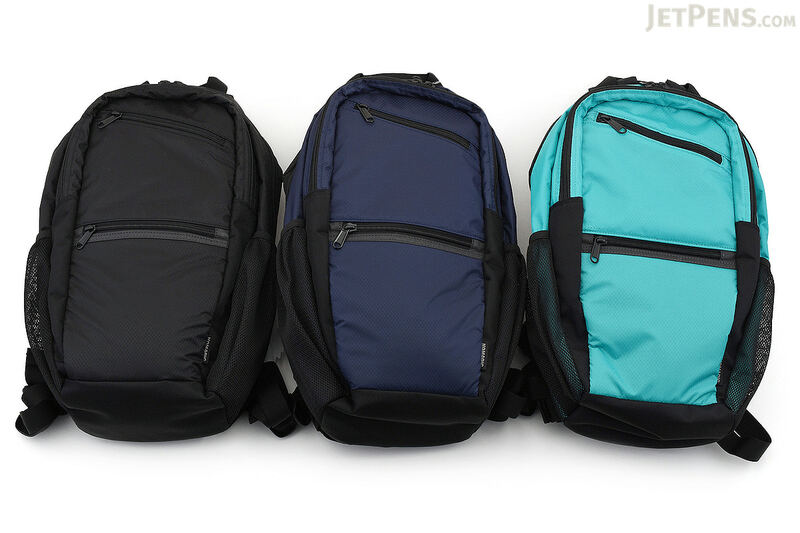 Nomadic, a Japanese brand sold by JetPens in the US, makes some of my favorite bags and backpacks . The Wise Walker Toto was an amazing little bag and I’ve always enjoyed the size, materials, and design. The $89 Nomadic NF-02 is no different. 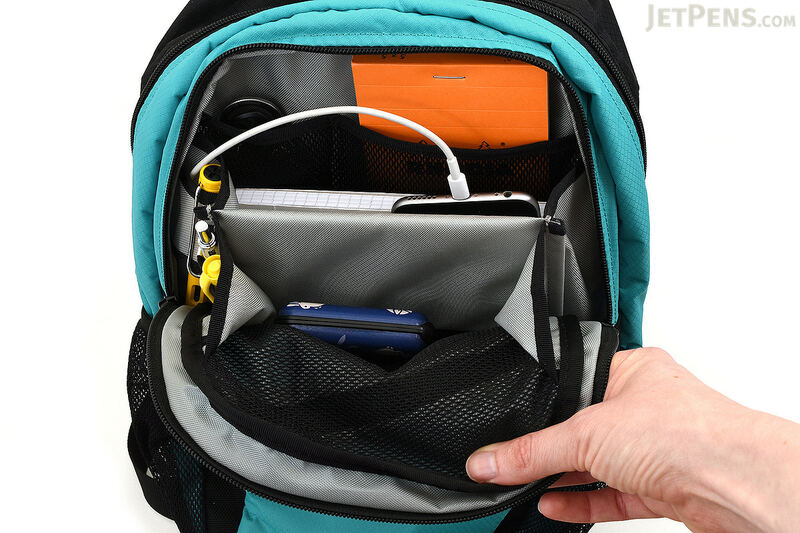 The best thing about this 15×7 inch backpack is the compact size and internal pouches. The Nomadic can hold multiple pens, notebooks, and accessories, all stuck in their own little cubbies, and you can fit a laptop and a few books in the main compartment. This is, to be clear, not a “school” backpack. It’s quite compact and I doubt it would be very comfortable with a much more than a pair of textbooks and a heavier laptop. It’s definitely a great travel sack, however, and excellent for the trip from home to the office. The bag comes in a few colors including turquoise and navy and there is a small hidden pouch for important papers and passports. There is a reflective strip on the body and it is water-repellent so it will keep your gear dry. Again, my favorite part of this bag are the multiple little pockets and spaces. It’s an organizer’s dream and features so many little spots to hide pens and other gear that it could also make an excellent tourist pack. It is small enough for easy transport but holds almost anything you can throw at it. Nomadic is a solid backpack. It’s small, light, and still holds up to abuse. I’m a big fan of the entire Nomadic line and it’s great to see this piece available in the US. It’s well worth a look if you’re looking for a compact carrier for your laptop, accessories, and notebooks.